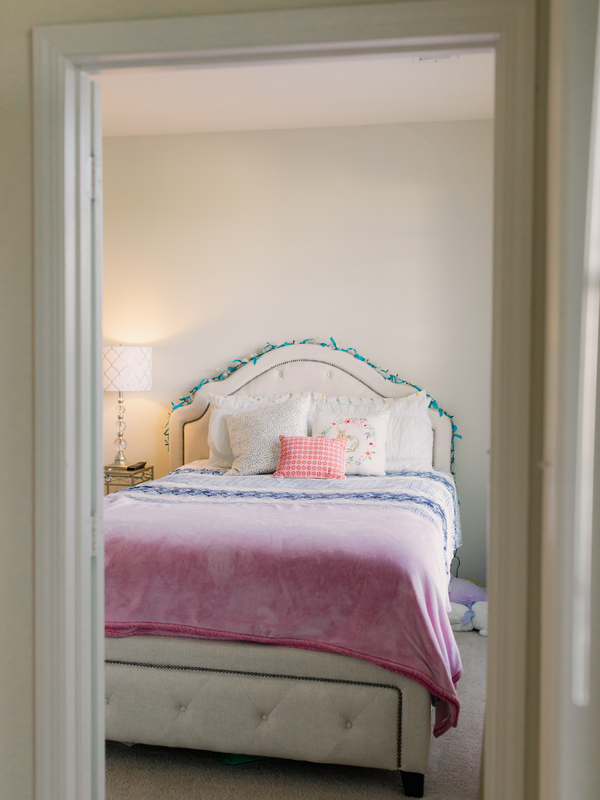 Wrapping up my Charlottesville apartment tour series today with my favorite room- my bedroom! I love how my bedroom has come together in this apartment! 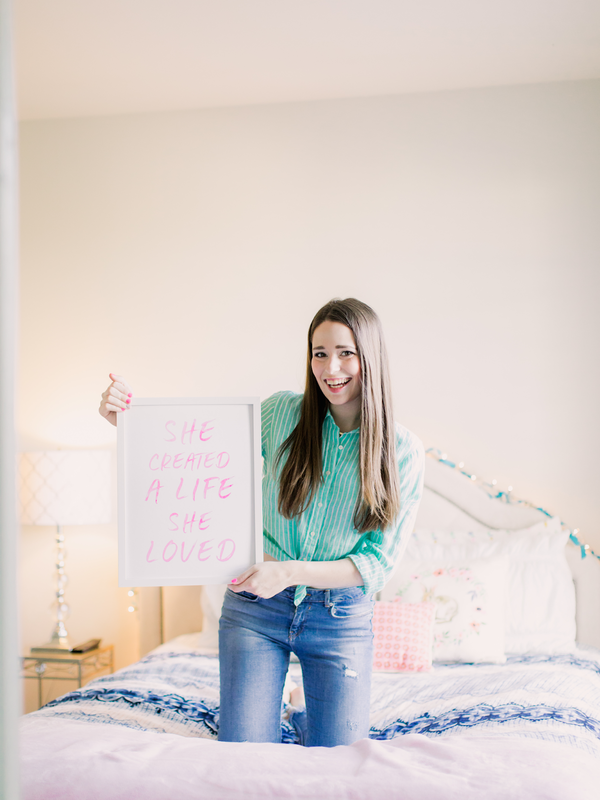 If you've seen my previous bedroom tour posts from North Carolina or Vermont, you'll recognize the same furniture and a lot of the same decor. The layout of the room has been quite different in each apartment that I've lived in, so I feel like that's kept things interesting with mostly using the same furniture and decor. My bed and bureau were both college graduation presents, and I see myself continuing to use both for a long time to come. This bedroom also has incredible natural light, which I'm so thankful for. I love how my furniture pieces are all lighter, neutral colors, and then I'm able to add in bold pops of color through decorations and wall art! 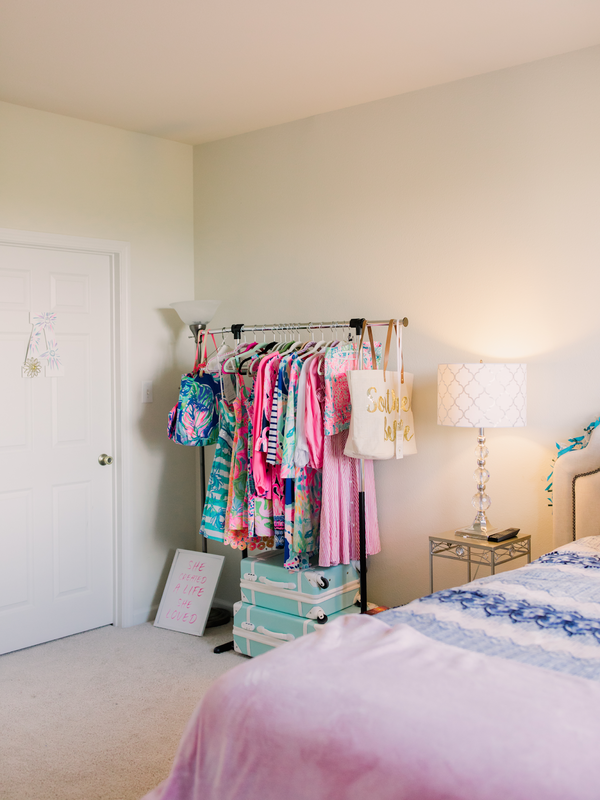 I do have a walk-in closet in this apartment (which I'm so thankful for! ), but in addition to that I have a clothing rack! I find my clothing rack is very useful with planning outfits for blog shoots, or for certain occasions. 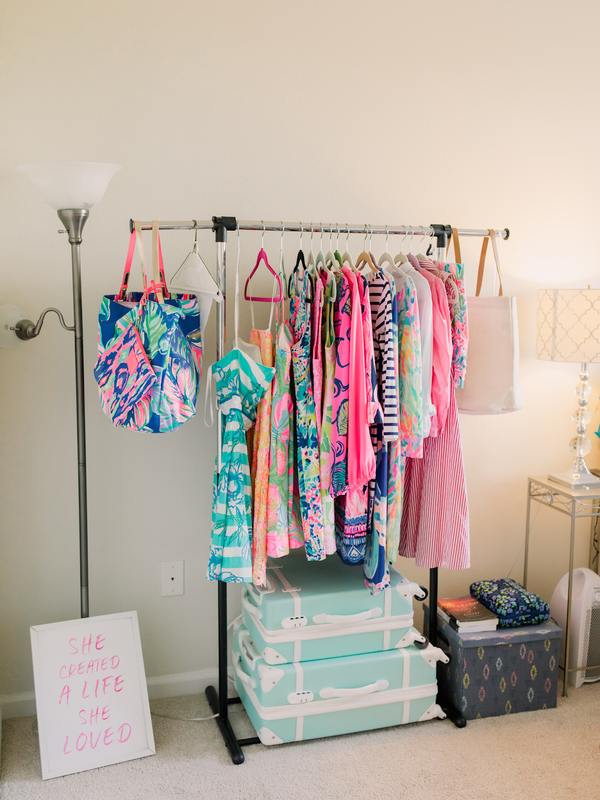 In the spring and summer, I devote a lot of my clothing rack to all of my favorite Lilly pieces. These photos were taken back in early fall, so I still had all of my summer Lilly on display. I'm already excited to bring all of that out again in a couple months! I rarely let Delilah in my bedroom, so I've spent less time in my room since I adopted her a few months ago (as she always likes to be around me). I love this bright and happy space though, and I'm so happy with how everything came together. I think this is my favorite bedroom of any apartment I've lived in so far! Thanks so much for reading today's post, and for checking out my other apartment tour posts as well! January was my first month of launching the Tuesday blog series idea. Each month this year, I'll do a differently monthly blog post series, with posts about that topic going up each Tuesday. 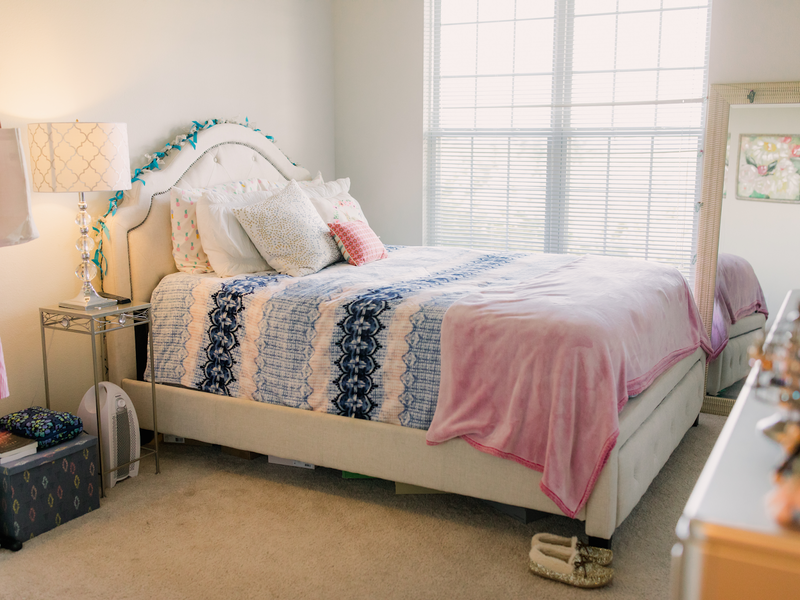 January's series was my Charlottesville apartment tour. Coming up on Tuesdays in February- I'll be sharing various routines, including my makeup routine and weekly fitness routine! You have such a great eye! I loooove your bedframe, and your bedroom is so cute! Thank you so much for sharing it with us! 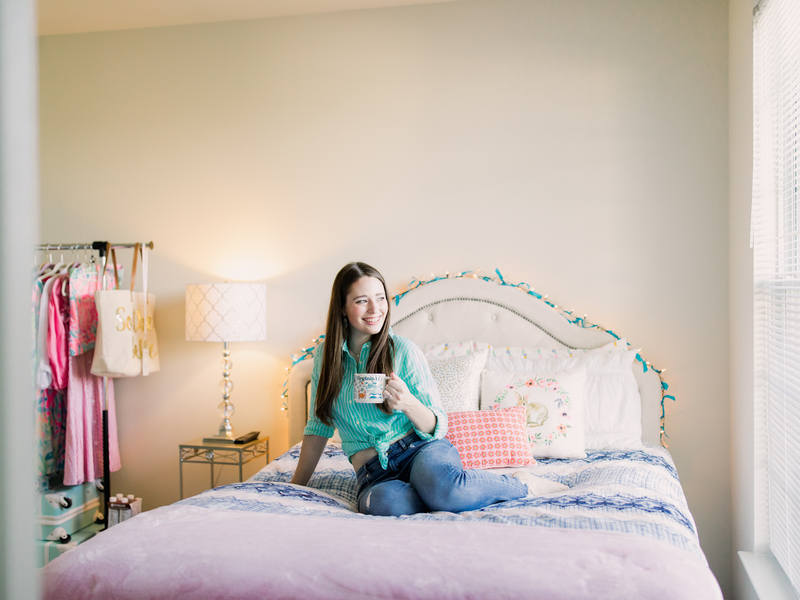 ahhh im loving all the pops of colors you have in your apartment my friend- so cozy and adorable! thanks for sharing! Wonderful space, I love your bed and adore your turquoise suitcases. I love having a freestanding clothes rack as well as my wardrobe. It's handy to have somewhere to sort out outfits for the week. What a beautiful space that you've put together! My dream is to have an exposed rack "closet" like you have -- and the colourful, vibrant colours of your clothing are just phenomenal! 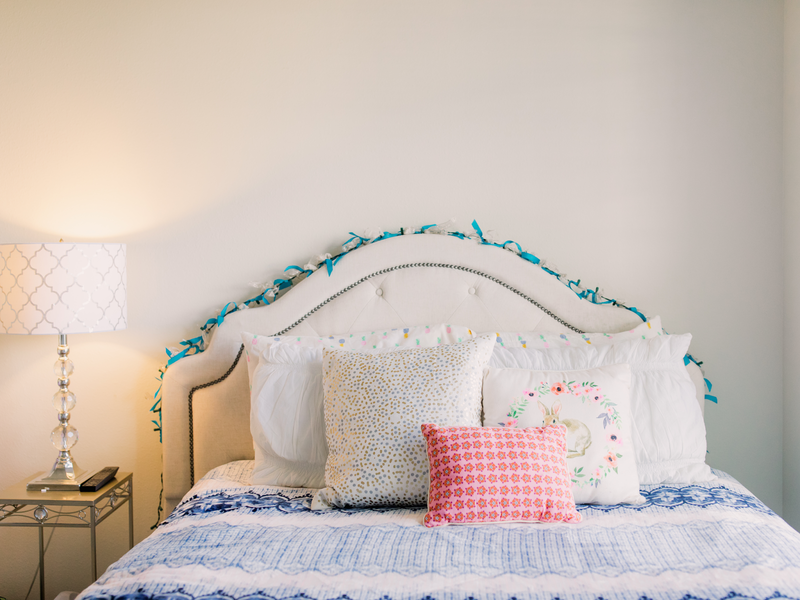 Your bedroom looks adorable and bright. I love it. 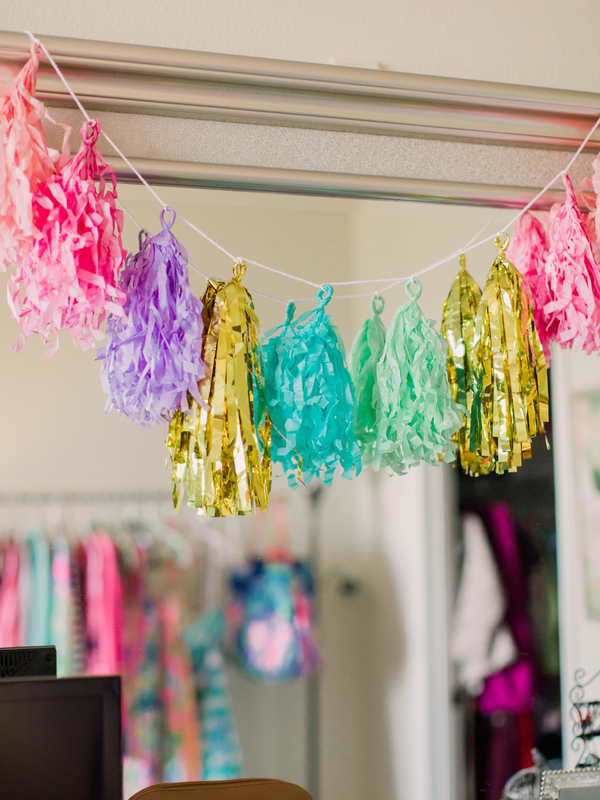 i love how bright and cheery your room is! Beautiful room. Love love love the subtle colors. Very welcoming of sleep! I love the mix of pinks and blues! And those suitcases are so adorable! !